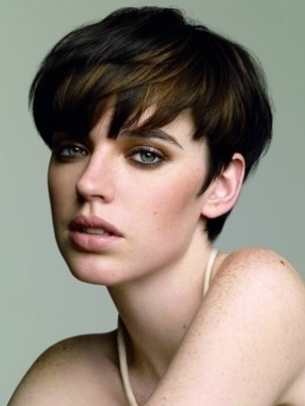 Flattering Short Hairstyles with Bangs. 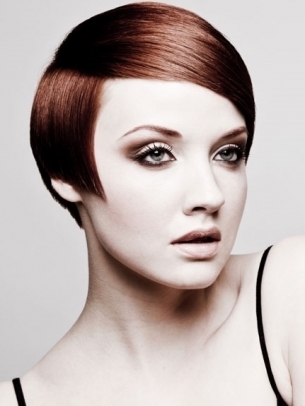 Make the most of your healthy and glossy locks by sporting one of these flattering short hairstyles with bangs! Prepare for the ultimate style update and consider all your beauty options. 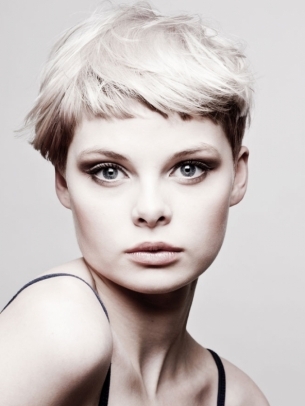 The flattering short hairstyles with bangs below illustrate the versatility of this length. Rock a polished wash-and-go style which requires less cleansing and sculpting. 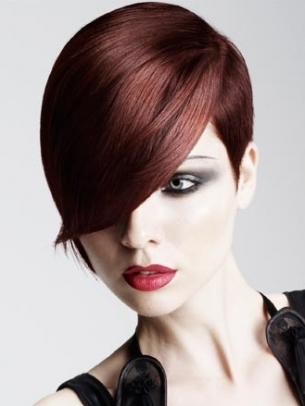 Besides being low maintenance, micro-cuts will also allow you to sport a myriad of voguish looks. Define the ideal length and structure for your crop and pick your favorite close-cropped cut from the infinite range of hair styles. 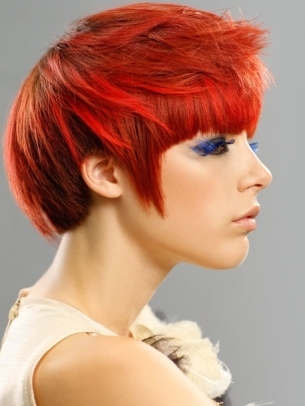 Changing your look will help you combat split ends, unmanageable texture and monotony. 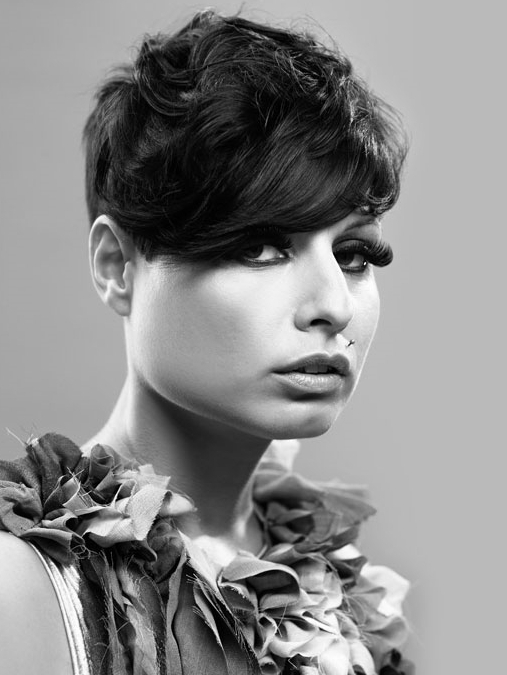 Infuse variety into your strands with gorgeous quiffs, sleek texture, soft waves of chic curls. Keep your tresses in top shape with regular deep-conditioning treatments and trimming. Find out which hairdo suits your face shape by asking a professional stylist or by trying your hand at virtual hairstyles. Have fun while selecting your new crop and consider all the important factors which could influence the outcome of your transformation. Chopping your locks can be a brave commitment, however there are endless styles you can wear with this length. Decide whether you want to add roundness to your features or you would like to narrow your face with a gorgeous layered crop. 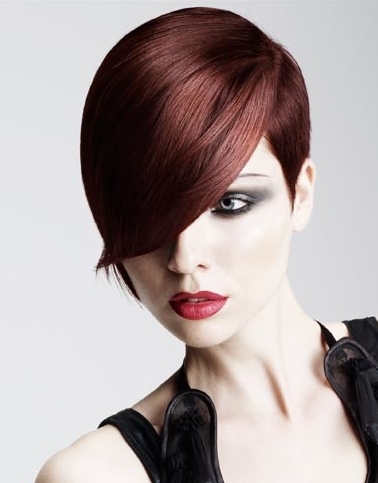 Both when it comes to close-cropped hairstyles and bobs, boxy silhouettes create a futuristic and ultra-modern feel. 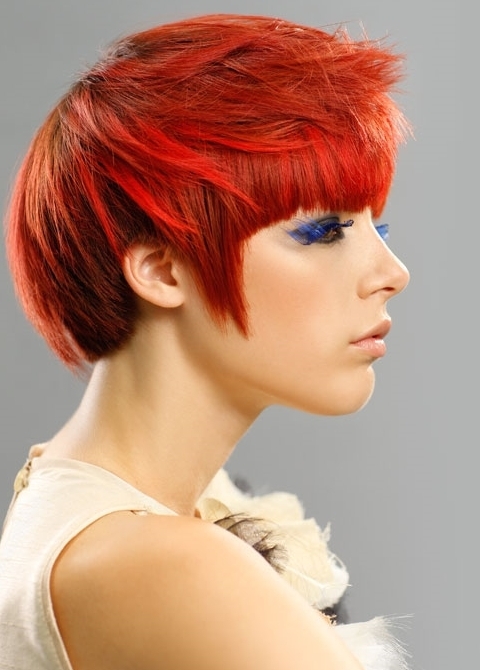 On the other hand, choppy layered hair designs inject a laid back and relaxed vibe into your look. Let your hair stylist combine different hair cutting techniques. 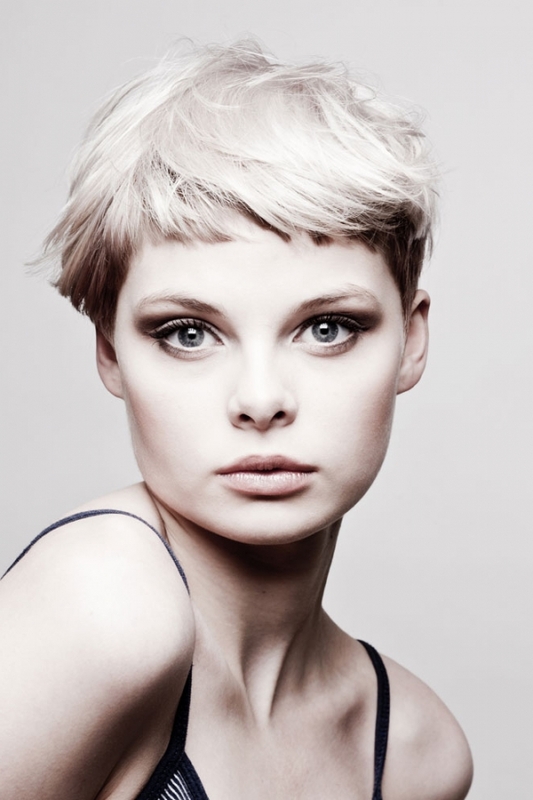 Shaved sections along with choppy layers and a statement-making fringe all add interest and definition to your short hairstyle. Emphasize your cheekbones with a face-framing crop and leave longer strands on the top to be able to experiment with infinite hair styling ideas. Undercut crops are perfect for those who are not afraid of copycatting some of the hottest celeb looks of the moment, like the ones of Rihanna, Cher Lloyd or Cassie. Rock one of the ultra-flattering micro-cuts to guarantee your success among 'it' fashionistas.